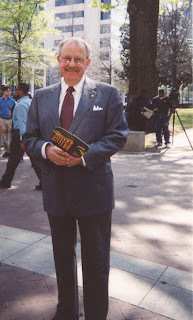 The former director of the Birmingham Public Library, Jack F. Bulow, died at his home on Thursday, August 28, 2008. Bulow served as the library director from 1993 to 2002. Before he became the director, he served as the associate director of the branch libraries and associate director of the central library. He started work at the library in 1971 as the assistant bookmobile librarian. During Bulow’s service to the library, the library system won numerous awards for public service, including two John Cotton Dana Library Public Relations Awards sponsored by the H. W. Wilson Company; the H. W. Wilson Foundation, and the Library Administration and Management Association, a division of the American Library Association. Bulow spearheaded innovative programs including the bookstore model to deliver library service and one of the first books-by-mail programs to provide library materials to the home-bound. As associate director for the branch libraries, Bulow championed the branch system and replaced and renovated library buildings throughout the city. He expanded training opportunities for staff at all levels and encouraged them to continue their education. He served on committees for the American Library Association and was President of the Alabama Library Association in 1994. His involvement in the community and in professional librarianship was extensive. He was instrumental in developing a closer working relationship between the Birmingham Public Library and the City of Birmingham Community Development program. For more than thirty years, Bulow served the Library and the City and earned many accolades for his accomplishments. Bulow was born June 7, 1942, in Elmira, New York. He served in the U.S. Coast Guard in the 1960s. He was a member of the Kiwanis Club. He was a graduate of the University of Alabama at Birmingham and earned his master’s degree at the University of Alabama. He is survived by his wife, June Bulow. Donations in his memory may be made to the Birmingham Public Library Foundation’s Book Endowment Fund, 2100 Park Place, Birmingham, AL 35203, the Birmingham Museum of Art, 2000 8th Ave. North, Birmingham, AL 35203, or a charity of choice. We are proud to announce that over 6000 kids caught the "reading bug" resulting in 53,336 books being read during this year's summer reading program. As part of the program, the libraries hosted a variety of events, many of which were "Bug" related. A total of 363 summer reading events were offered at Birmingham Public Library locations during June and July with an attendance of 17,068. SEC teams have won the national championship for two straight years with both LSU and Florida beating Ohio State in the national championship game. In the NFL, two SEC quarterbacks have led their teams to victory in the last two Super Bowls. Eli Manning (Ole Miss) led his New York Giants team to victory in Super Bowl XLII and his brother Peyton (Tennessee) led the Indianapolis Colts, coached by Tony Dungy, to victory in Super Bowl XLI. Which teams will come out on top this season? 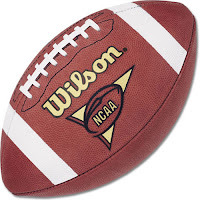 To keep track of schedules, results, and team information, or simply find a good book about football, be sure to take a look at the links on the Football subject guide. Enjoy the season. 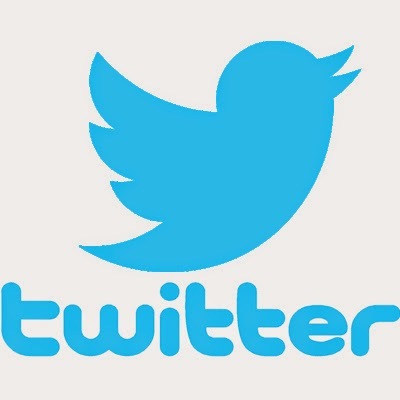 Time: 5:30 p.m. to 7:45 p.m. ADMITTANCE: Bring your can good(s). Expiration date must be visible. 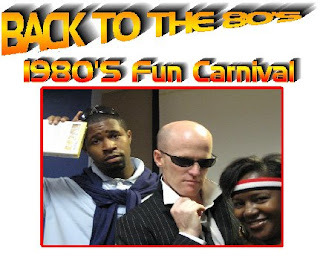 Wear your favorite 1980's costume. Come prepared for food and fun! Tasha Simone of 107.7 will be on site! Give the gift of life—give blood. LifeSouth Blood Bank will be in the Youth Department Story Castle on the second floor of Central Library to take your blood and give you a cookie. What a deal! A valid I.D. is required to donate. 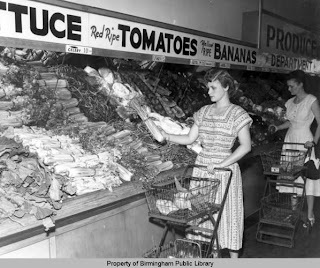 Wednesday, August 27, 9:00-3:00 p.m.
Birmingham's rich culinary history was built, in large part, by women who cooked in their homes for their families every day. Learn about how Birmingham women shaped the city's culinary history, economy, and character simply by putting dinner on the table. Wednesday, August 27, noon. Do you like books that contain interesting characters, a touch of mystery, and are filled with humor and insight? 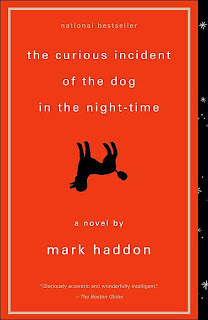 If you are in the mood for an unusual mystery, read The Curious Incident of the Dog in the Night-Time by Mark Haddon. The story is told through the eyes of a unique and talented youngster, Christopher John Francis Boone. From the beginning, we enter the mind, including the thought processes and emotions of this young autistic boy. Christopher speaks to us in a simplistic style as he introduces his family and friends. As he describes his interactions with neighbors, friends and family, we develop an insight into his emotional maturity, thoughts and feelings. We experience the joys, frustrations and day-to-day emotions of an autistic individual as he relates his account of the mysterious death of a neighborhood poodle named Wellington. The mystery itself is quite unusual, adding to the wit and eccentric flavor of the book. Through the eyes of this character, we increase our depth of understanding of autism. We also gain an understanding of the importance of centering our attention on the abilities of the individual. The author’s interesting and engaging style allows us to better understand the character’s emotions and behavior. We watch Christopher develop and mature as he experiences the joy that comes with knowing that he can do so much more than he ever thought possible. The beauty of this book lies in the realization that although being autistic causes certain difficulties, there is so much joy to life as well. This truly creative story enables us to see the abilities, emotions and insight unique to each individual. His hand served as an ashtray for her Ricola cough drop. He flew coach while she flew first class. He was cut as a backup dancer and hired to wipe the sweat from his sister’s naked torso between songs and pick up her dirty undies off the floor. 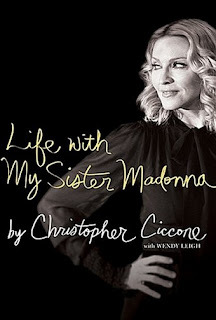 Pity poor Christopher Ciccone, a self-described Jeeves and Madonna’s younger brother. Is it any wonder he’s seeking revenge through that time-tested mode of retaliation—the tell-all book? Regardless of your degree of affinity for Madonna, she is one of the most famous women in the world. She is a ruthless businesswoman and a savvy entertainer who changed like a chameleon every few years to stay fresh for hungry fans who ate up every song note, movie line, and costume change. Considering Mrs. Ritchie is half a century old, you just know this is going to be one worth-it read. I've reserved my place in line for Life with My Sister Madonna. How about you? In the autobiography, The Color of Water, James McBride tells the emotional and inspiring story of growing up in Brooklyn, born to an African-American father and a Jewish mother. During his early youth, James recognized that his mother seemed different. Of course, as any youth would, he began asking questions. James asked his mother about the color of her skin, she remarked that she was simply light-skinned. James also asked what color God was and she said: “God is the color of water. 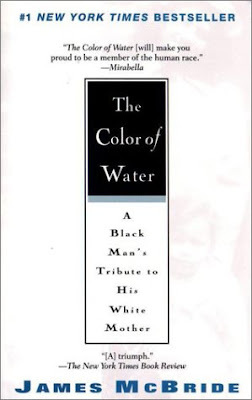 Water doesn’t have a color.” When James asked if he was black or white, Ruth angrily said to him, “You’re a human being. Educate yourself or you’ll be a nobody!” He experienced racism and prejudice on the Brooklyn streets. As an adult, James decided to lovingly pay tribute to his mother by revealing her story through a memoir. Ruth McBride’s story slowly unraveled over a period of fourteen years. Alternating with her story are chapters that relate the story of James McBride. As with any family, you will find that lives are interrelated – one life affects the entire family. Relationships can be vastly complex. Ruth McBride - the daughter of an Orthodox Jewish rabbi - married an African-American man during the year 1942. She was a strong, self-assured woman. She was often labeled as eccentric because much of the time, she rode an antique bicycle to complete errands. She was the single parent of twelve African-American children. She believed strongly in God, education and had an incredible faith and spirit. 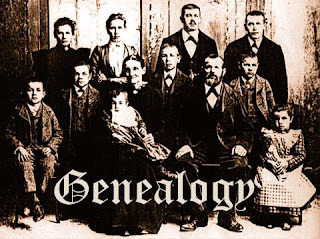 In fact, she remarkably made sure that each of her twelve children was sent through college and most through graduate school. By reading this book, you will more fully understand the connection between family members whose lives are intertwined through love and determination. You will be truly inspired by their love of family and faith. The memoir beautifully illustrates what can be accomplished through love, determination and spirit – the ability to triumph over incredible odds. For Dennis Lehane fans the long two years' wait is over. His new book, The Given Day, will be released September 23. Go ahead and get a jump on the competition and reserve it in advance. Set in Boston at the end of the First World War, New York Times bestselling author Dennis Lehane's long-awaited eighth novel unflinchingly captures the political and social unrest of a nation caught at the crossroads between past and future. The Given Day tells the story of two families—one black, one white—swept up in a maelstrom of revolutionaries and anarchists, immigrants and ward bosses, Brahmins and ordinary citizens, all engaged in a battle for survival and power. The Given Day is already receiving great reviews. 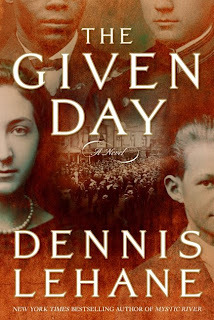 Author Stewart O'Nan says "rollicking, brawling, gritty, political, and always completely absorbing, The Given Day is a rich and satisfying epic. Readers, get ready to feast. This is a big book you won’t want to put down." Publishers Weekly gave it a starred review. Night music in the atrium of the Birmingham Public Library is a unique experience, and the library has teamed with one of the most exciting bands in the city, Act of Congress, to bring a free concert to the library’s atrium on August 21, 2008 at 6:30 p.m.
Act of Congress is relatively new and has released an EP titled Love Remains. Their next release, Declaration, is due out in September 2008. The band is a unique blend of acoustic instrumentation and vocal harmony. Their music has been called a mix of bluegrass, rock, and jazz, sometimes called “newgrass.” They have a diverse sound and appeal to several generations of listeners. 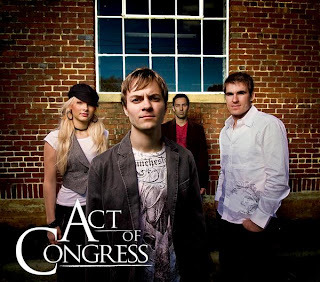 In 2007 Act of Congress worked with Live Nation, opening for artists such as John Mayer, Toby Keith, Alan Jackson, and Brooks and Dunn. AOC has been very active on the Birmingham music scene, appearing at City Stages, Do Dah Day, Alabaster City Fest, Buck Creek Festival, Compound Folk Fest, Workplay, and the B&A Warehouse. The band consists of Bethany Borg (fiddle/vocals), Tim Carroll (bass/vocals), Chris Griffin (guitar/dobro/vocals), and Adam Wright (mandolin/guitar/vocals). All four members of Act of Congress sing and harmonize, which gives their music a pure folk quality. To listen to a sample of their music and find out more information about the band, visit their Myspace page. Act of Congress is sure to give an incredible BPL@Night performance and will have CDs for sale at the library. Fitness is for everyone these days, so if you are one of the multitude of active adults—or just feel that way—join us for an hour of fun and information. Jennifer Cordova of ICON Performance will join us for an introduction to great fitness, so come ready to experience. Wednesday, August 20, noon. Two entertainers whose performances were enjoyed by millions died over the weekend. Comedian Bernie Mac died on August 9 and musician Isaac Hayes died on August 10. Bernie Mac, star of The Bernie Mac Show and one of The Original Kings of Comedy was born October 5, 1958 and grew up on the South Side of Chicago. Well-known in Chicago comedy circles, his popularity landed him a spot on Def Comedy Jam hosted by Damon Wayans. Damon was so impressed with his comedy that he offered him a role in the 1992 film Mo’ Money. In 1997, Mac joined Steve Harvey, D.L. Hughley, and Cedric the Entertainer on the comedy tour, The Original Kings of Comedy. The tour was so successful that Spike Lee filmed it in 2000 for the big screen. 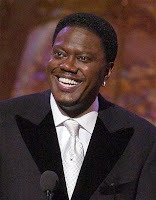 Bernie Mac appeared in numerous films including Charlie’s Angels: Full Throttle and Ocean’s Eleven. He starred in the Peabody Award-winning television show The Bernie Mac Show from 2001-2006 on the Fox network. He also wrote two memoirs: I Ain’t Scared of You and Maybe You Never Cry Again. Isaac Hayes, perhaps best known for scoring the 1971 film Shaft, was born August 20, 1942 in Covington, TN. 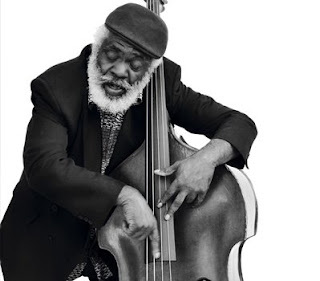 A self-taught musician, Hayes performed with several bands in the Memphis music scene before becoming a house musician at Stax Records in 1964. He and songwriter David Porter wrote some of the most popular songs of the period including “Hold On, I’m Coming” and “Soul Man.” At Stax, the pair wrote songs for singers such as Sam & Dave, Carla Thomas and Johnnie Taylor. In 1967, Hayes launched his solo career and in 1971 won an Oscar and a Grammy for the “Theme from Shaft.” He also won a Grammy for the soundtrack to Shaft. In addition to his music, which has influenced generations of R&B artists, Hayes appeared in a number of movies including the 2000 remake of Shaft starring Samuel L. Jackson. He released a cookbook the same year entitled Cooking with Heart & Soul. He was the voice of “Chef” on the animated series South Park from 1997-2006. He plays himself in the upcoming movie Soul Men starring Bernie Mac and Samuel L. Jackson set for release in November. 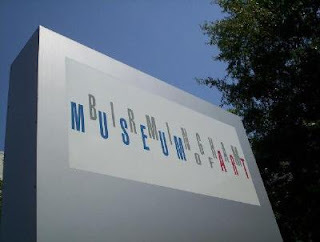 The Birmingham Public Library knows firsthand about the convenience of online services, so we are happy to report that the Birmingham Museum of Art's library collection is now accessible online at http://bma.kohalibrary.com/. Because of the unique nature of the collection, the items do not check out but may be used on the premises. 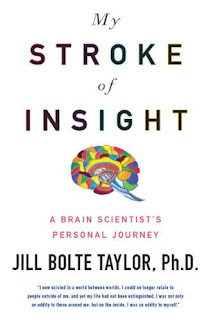 The library is open to the public Tuesday through Friday, 10:00 a.m. to 4:00 p.m.
My Stroke of Insight chronicles the personal journey of Jill Bolte Taylor, a Harvard-trained neuroscientist who experienced a rare stroke involving the left hemisphere of her brain at the age of 37. The journey began on the morning of December 10, 1996. Within only four hours, she was left unable to walk, talk, speak, read, write or recall events in her life. Blood filled the left portion of her brain, causing it to swell. The stroke involved a hemorrhage in the middle to posterior portion of the left hemisphere of her brain- the analytical portion, while the intuitive right hemisphere allowed her to miraculously experience peace during this tragic event. The left portion of the brain allowed Jill to recognize that she was having a stroke and finally enabled her to seek the help she desperately needed. Jill required eight years for complete recovery. Taylor emphasizes that the brain is a marvelous and miraculous structure. The human brain is wired to allow individuals to perceive the world as we do each day. We recognize our place in the universe, think and respond to stimuli, all because of billions of neurons interconnected within a complex neural network. The left hemisphere is responsible for higher level cognitive and analytical thinking. The right hemisphere is more intuitive and is responsible for creating a sensory view of our environment, what things smell, feel and taste like. Both hemispheres of the brain share information and work together to allow us to perceive the world as we do. What a complex and beautiful structure! As a result of the stroke, Jill Taylor advocates that inner peace comes with quieting daily mind chatter by shifting awareness to the right side of our brain. First, we must realize that we are interconnected with one another- we are all part of the cosmic whole. Interconnection with one another and to the Earth is a beautiful concept and one we should embrace. In addition, focus on the present moment. 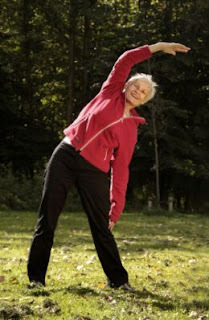 Think about your breath, the light, temperature and finally relax your body. Silence all outside cognitive thoughts. Please read this book. You will gain a greater sense of peace as well as learn much about the structure and function of the brain. Taylor’s journey is an inspirational one that should cause us to shift our focus toward the present. We owe our perception of the world to complex neural circuitry. Jill Taylor has said that her “stroke of insight” allowed her to recognize complete inner peace. She has received the gift of seeing the intricacies of the pathways created by billions of neurons, resulting in our unique perception of the world around us. Finally, we learn that complete peace can be achieved by a simple shift of focus. You now have the convenience of paying any library fines and fees online. To get started, simply go to view your record. No service charges are applied for making online payments. BPL@Night invites you to Five Points West Library to hear legendary jazz performer, composer, and producer Cleve Eaton and the Alabama All-Stars. Renown for his style and musical prowess, Eatong is always at the top of his game. Join us for an evening of great classic jazz. 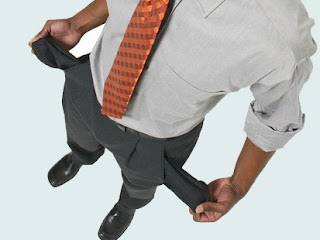 We all know we need to bone up on those financial matters. Join us as Stephanie Layton, H&R Block consultant, shares tips on money matters, budgeting for college, and other financial issues. Wednesday, August 13, noon. Aleksandr Solzhenitsyn is a notable Russian writer who first drew worldwide attention in 1962 with One Day in the Life of Ivan Denisovich, his novella recounting the arduous existence of prisoners in the system of concentration camps devised under Soviet dictator Josef Stalin. According to Ludmila Koehler, writing in Russian Review, Solzhenitsyn's literary debut "swept into the world like a gust of fresh wind." In the ensuing twelve years Solzhenitsyn continued to produce esteemed works, including an ambitious study, The Gulag Archipelago, 1918-1956: An Experiment in Literary Investigation, and two novels, The First Circle and Cancer Ward. Such writings, while winning acclaim in the west, further aggravated his notoriety in the USSR, and in 1974, four years after receiving the Nobel Prize for literature, Solzhenitsyn was summarily expelled from his homeland. 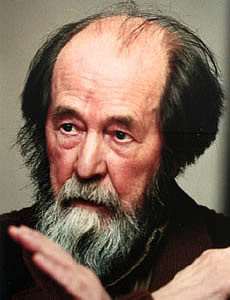 Soviet authorities, who had previously denied Solzhenitsyn permission to leave the country, decided that he could no longer remain there, and after briefly imprisoning him, they sent him into an exile that would last until 1994. Solzhenitsyn settled in Vermont and continued to write, meanwhile condemning the West for its materialism and dearth of spirituality. Notable among his projects from this period of exile is The Red Wheel, a multi-volume saga that recalls Leo Tolstoy's War and Peace in both its scope and its plethora of both fictional and real characters. Pakistan's K2 is not the highest mountain in the world—that would be Mount Everest. 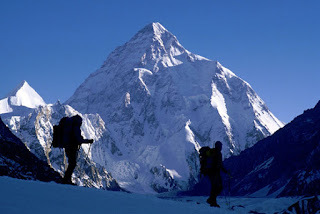 But although K2 is the second highest peak in the world, it is considered a more challenging climb to the mountaineers who have attempted its summit. Early Saturday morning as seventeen climbers from seven countries were descending K2, an avalanche dislodged the rope they were using and three climbers were killed. Two managed to return to base camp while the others waited for rescue. When rescue didn't come, more climbers died trying to make it back to camp. A total of eleven climbers died in this accident. To date this is the deadliest accident in the history of K2 mountaineering. AdventureStats.com reports that sixty-six other climbers have died since 1939. Mountaineering is a popular sport, as is evident by the number of books written by and about climbers. Go here for a general list of books and media on mountaineering. I'm a die-hard fan of mountaineering memoirs, and my favorites are Touching the Void by Joe Simpson and No Shortcuts to the Top by Ed Viesturs. An earlier blog entry reviewed the award-winning docudrama Touching the Void, directed by The Last King of Scotland's Kevin MacDonald. Simpson's book The Beckoning Silence (available through ILL), about the history of the the Eiger's dangerous north face and his own six failed attempts to climb it, was turned into a docudrama and released in the UK in 2007. Viesturs is considered to be one of the strongest and more safety-concious climbers in the biz. He has summited all fourteen of the 8,000-meter mountains. Viesturs teamed up with another accomplished climber, author and filmmaker David Breashears, to shoot the acclaimed IMAX documentary Everest. They were filming at the same time as the infamous 1996 climbing disaster that Jon Krakauer wrote about in Into Thin Air. Known to put his own climbing attempts on hold to help a troubled climber, Veisturs helped in the rescue of some of these stranded climbers. What comes to mind when you think about the Olympic Games? Do you remember watching someone set a new world record? Perhaps you visualize Antonio Rebollo igniting the Olympic Flame in Barcelona with an expertly-placed arrow. 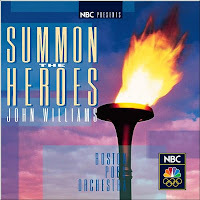 If you’re like me, music from the Olympics starts playing in your head: “Summon the Heroes” by John Williams, “Reach” by Gloria Estefan, or “One Moment in Time” by Whitney Houston. The music brings the Olympics to life for me and builds my excitement for the competition. I was thrilled to attend the Centennial Olympic Games in Atlanta. I remember what it was like to walk into Olympic Stadium and see the flame burning brightly overhead. Sitting with people from all over the world to watch the athletes compete is something I will remember forever. Although I didn’t get to see the event in person, my favorite Olympic memory is from the 1996 Games. I watched with pride and admiration as Michael Johnson broke the world record in the 200m sprint, a record that still stands to this day. The flash bulbs in Olympic stadium followed him around the track as he sprinted to victory. He cried on the podium as the American flag was raised and the "Star-Spangled Banner" played. What an achievement to be displayed on the front page of the Atlanta Journal-Constitution and newspapers around the world as he crossed the finish line. The stage is set for the Beijing Olympics and you are invited to make the library part of your Olympic experience. Our subject guide on the Olympic Games will direct you to music, DVDs, books, and websites about the Olympics. I’ll be watching on 08.08.08 and hope you will too.